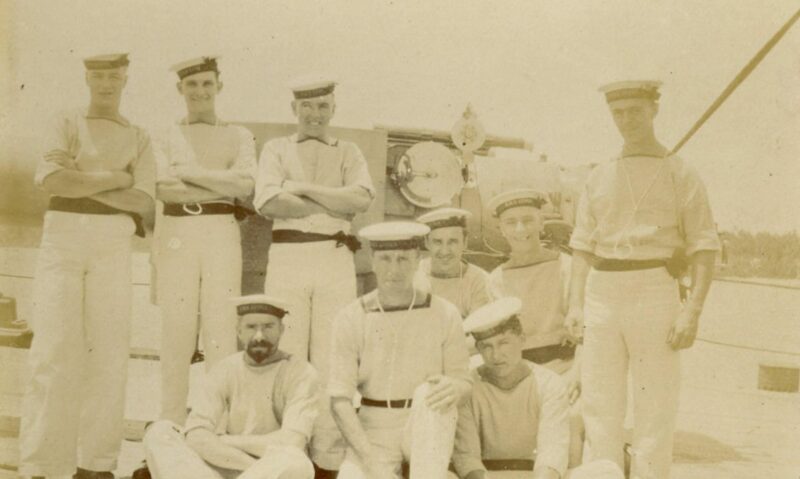 From 23 April – 4 June Kirkby Library is hosting a special exhibition – entitled ‘Diary of a Dude’ – which charts the experiences of sailor who served in the Royal Navy throughout the First World War. Thanks to a grant from the National Lottery Heritage Fund, Knowsley Archives have been able to conserve, digitise, transcribe and catalogue the remarkable and beautiful First World War diary of Jack Pulman. As well as being an honest and frank diarist, Jack was a talented photographer and musician who captured his journey, fellow sailors and people he met through over 100 incredible photographs that survived with the diary. More than 100 years after Jack set out to capture the experience of fighting in a conflict of unprecedented scale through writing and photography, his story is being used to understand the lives of people during the First World War in ways that he could never have foreseen. In addition to the conservation and archival work, Knowsley Archives have been working with Comics Youth to introduce Jack’s diary and photographs to a whole new generation. A series of workshop sessions have allowed children and young people to explore the diary and the period and bring it to life in new artworks and comic book style pieces. Alongside the original diary and photographs, the exhibition will display artwork produced as part of the Comics Youth sessions and reproductions of portions of the diary and photographs, alongside information about Jack himself and the journey he undertakes in the diary. For more information and opening hours of the library visit Your Library Knowsley.